Whether you are a seasoned investor or you’re just getting into the investment game, one thing is certain: you need to diversify! 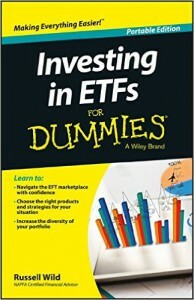 Investing In ETFs For Dummies is a practical, easy-to-use resource that introduces you to the world of exchange-traded funds—and provides you with the knowledge you need to incorporate ETFs into your investment strategy. Discover commodity ETFs, style ETFs, country ETFs, and inverse ETFs, all of which play an important role in this new trading environment. Supplement your knowledge with an understanding of the risks and rewards associated with ETF investments, and consider how ETF investments can complement your current portfolio. Do you constantly feel anxious about money? Have unopened credit card statements piled up on your countertop? Are you forever losing receipts for items you meant to return? In an economic downturn, taking charge of your financial well-being is more crucial than ever. One Year to an Organized Financial Life is a unique week-by-week plan to make saving money simple, automatic, and stress-free. 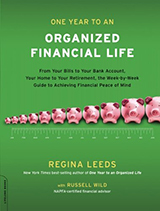 Professional organizer Regina Leeds and financial advisor Russell Wild have helped hundreds of clients get their lives in order. Using Leeds’s “Zen organizing” approach, which addresses the underlying causes of chaos and replaces them with routines, they now show readers the steps to improving finances within a manageable timeframe. From sticking to a budget to getting out of debt, curbing spending to maximizing retirement savings, One Year to an Organized Financial Life makes it possible for anyone to live more richly on less. As the largest generation in history prepares for retirement, how to best fund that retirement has become many peoples’ most pressing question. A large part of the answer resides in the retiree’s traditional best friend: Bonds. But bond investing can be far more complicated than it looks. 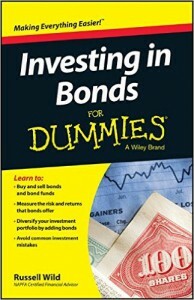 Bond Investing For Dummies gives readers—both those readying for retirement and those yet years away—a clear and thorough introduction to bond investing, explaining the reasons for investing in bonds, the differences between stocks and bonds, and the major factors that influence bond performance and risk. 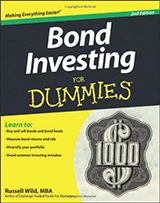 It covers bond ratings; long-term, intermediate-term, and short-term bonds; domestic versus foreign bond issues; what percent of a portfolio should be allocated to bonds; understanding interest and taxes on interest; the best and worst ways to purchase and choose bonds; and how to diversify among bond holdings. Exchange-traded funds (ETFs) have a strong foothold in the marketplace because they are less volatile than individual stocks, cheaper than most mutual funds, and subject to minimal taxation. But how do you use this financial product to diversify your investments in today’s fast-growing and ever-changing market? 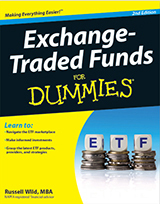 Exchange-Traded Funds For Dummies shows you in plain English how to weigh your options and pick the exchange-traded fund that’s right for you. It tells you everything you need to know about building a lean, mean portfolio and optimizing your profits. Plus, this updated edition covers all of the newest ETF products, providers, and strategies, as well as Commodity ETFs, Style ETFs, Country ETFs, and Inverse ETFs. 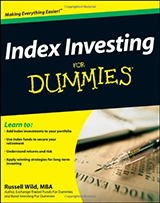 Looking for help making smarter, more profitable high-end investment decisions? 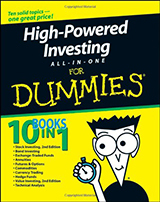 Why buy ten books that cover each of the major topics you need to understand, when High-Powered Investing All-In-One For Dummies gives you ten expert guides for the price of one? This hands-on resource arms you with an arsenal of advanced investing techniques for everything from stocks and futures to options and exchange-traded funds. You’ll find out how to trade on the FOREX market, evaluate annuities, choose the right commodities, and buy into hedge funds. And, you’ll get up to speed on using business fundamentals and technical analysis to help you make smarter decisions and maximize your returns. You’ll also find ways to be as aggressive as your personality and bank account allow, without taking foolish or excessive risks.